And began his apostolate among poor youth by founding the oratory and placing it under the protection of Saint Francis de Sales. Among his youngsters he sought out the best collaborators for his work, giving rise to the Society of Saint Francis de Sales; together with St. Mary Domenica Mazzarello he founded the Institute of the Daughters of Mary Help of Christians; finally with good and diligent lay people, both men and women, he created the Salesian Cooperators to flank and sustain his work, thus anticipating new forms of apostolate in the Church. 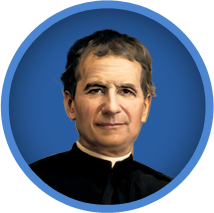 Don Bosco died on 31st January 1888, and on the centenary of his death John Paul II proclaimed him Father and Teacher of Youth, decreeing that he should be honoured and invoked under this title, especially by all who consider themselves new forms of apostolate in the Church. Diwali Dhamaka for Street children. The Media Festival 2018 is an initiative followed by the SMAC ..